← Formula 1 Race Day! 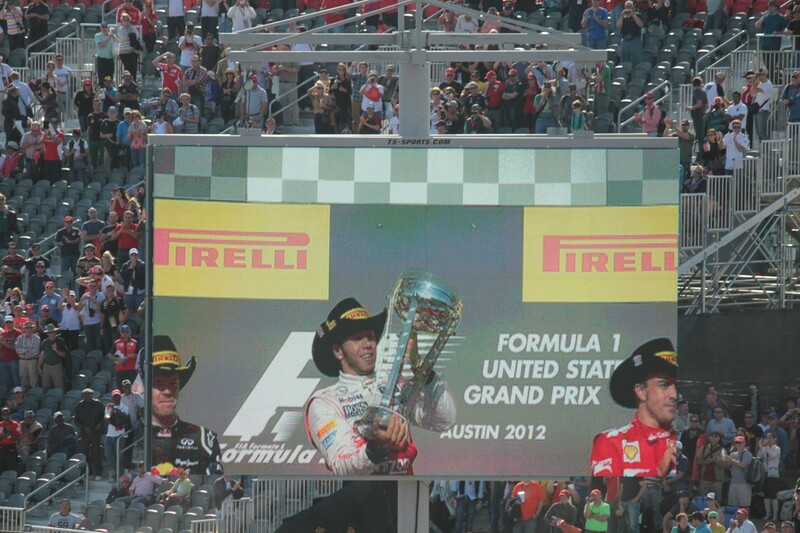 The inaugural Formula 1 US Grand Prix at the Circuit of the Americas in Austin, Texas, was a huge success. The drivers liked it. 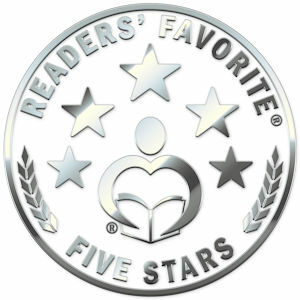 The press liked it. The fans loved it! And my friends and I were among those lucky enough to be there. Friday morning got off to an early start, as we attempted (successfully) to beat the traffic heading for the circuit. We were all ready and excited for the sights and sounds of 24 Formula 1 cars pounding around a brand new, purpose-built track. 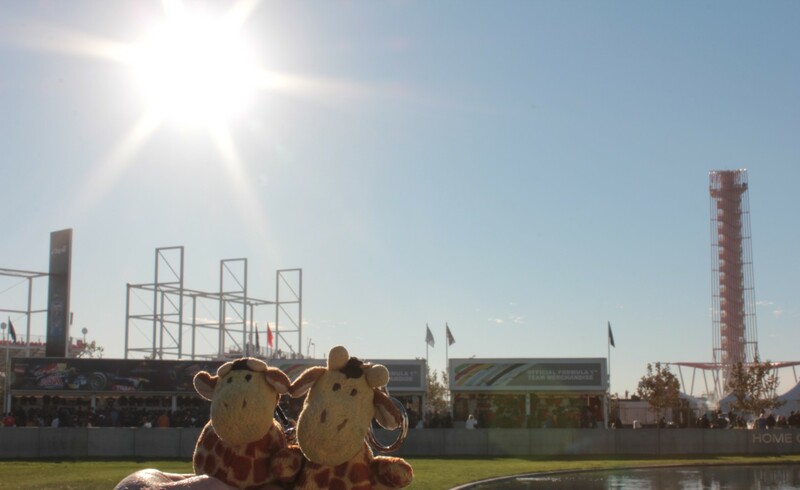 For some of us it had been over 5 years since we last attended an F1 race (Montreal, June 2007), for the rest – Jeff, Patrick, Ernest and Phyllis – this was to be their first taste of live Formula 1. We spent the first part of Free Practice 1 (FP1) in our seats at Turn 12. Every time the cars approached down the straight at 200 mph, we were convinced the drivers were breaking too late, that there was no way they could stop in time to make the corner. And every time we were astounded when they did. For Friday only, our tickets got us into pretty much every grandstand around the track (not that we Ses have to worry about tickets, of course), so halfway through FP1 we headed out to explore the rest of the circuit. 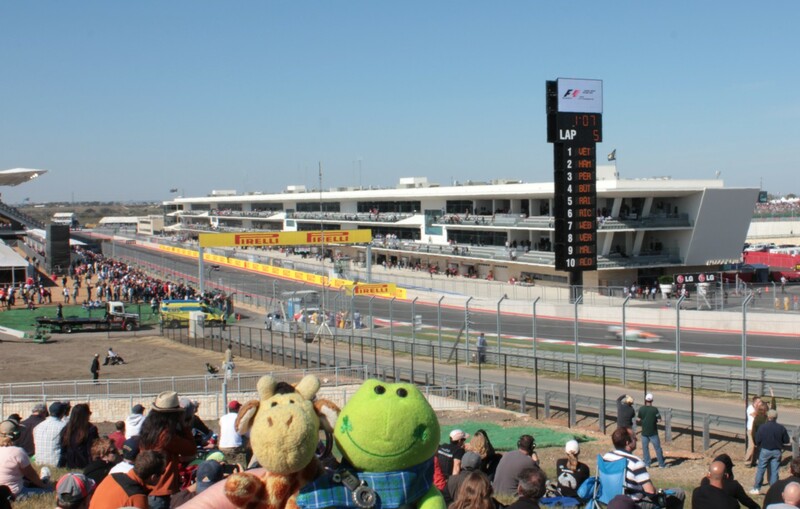 We enjoyed views of the cars racing up the hill towards Turn 1, sweeping through the curve complex of Turns 3–9, and breaking hard into the hairpin of Turn 11. 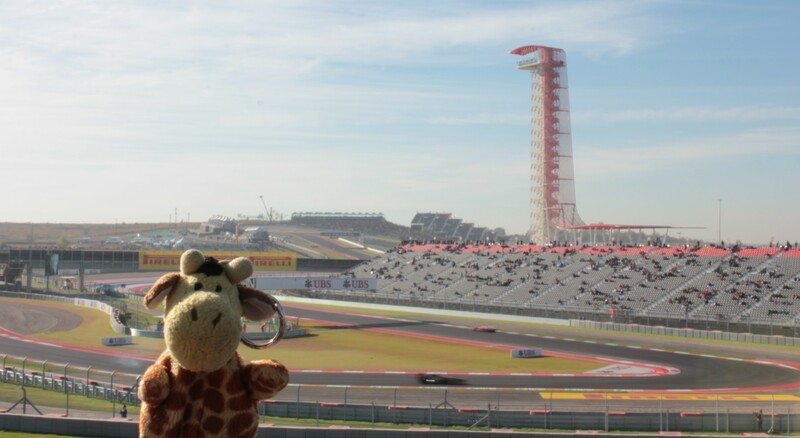 In fact, the only grandstand we weren’t keen on was at Turn 2. 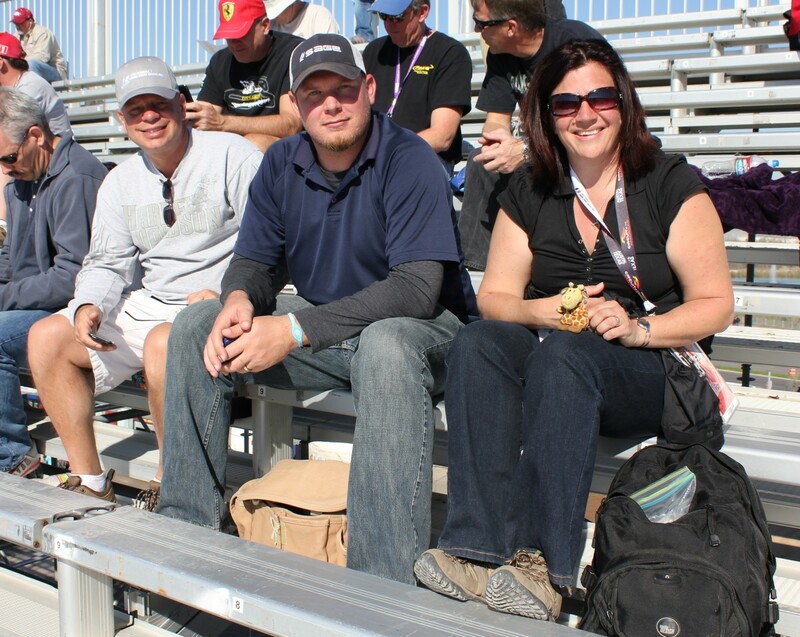 But we all agreed that, in terms of action, our seats at Turn 12 were the best in the house. Like other race fans we spoke to, we’d picked them so we could see any DRS (Drag Reduction System) passes at the end of the main straight, coming into Turn 12. What we didn’t expect was all the overtaking action that took place right in front of us at Turn 15. And if that wasn’t already enough, we could also see almost half the circuit, including all the way across to Turn 1, which almost always produces excitement at the start of an F1 race. On Saturday we were at the track from sunrise to sunset. Literally. In addition to the final Formula 1 practice session (FP3), we saw loads of great on-track action, including a fantastic Ferrari Challenge race and an historic Grand Prix involving F1 cars from the 1960s – 80s, plus a free concert by Collective Soul. But the highlight of the day was undoubtedly the Formula 1 Qualifying session, which saw Red Bull’s Sebastian Vettel claim yet another Pole Position. If we’d been excited the previous two days, we were buzzing by Sunday morning. We again arrived early and watched the GT3 Cup race, the second Ferrari Challenge, the F1 Drivers Parade, until finally 1 o’clock arrived… Race Time! The next 1 hour and 36 minutes passed in a thrilling, fast-forward blur. We were amazed when all 24 cars made it through the first corner unscathed. 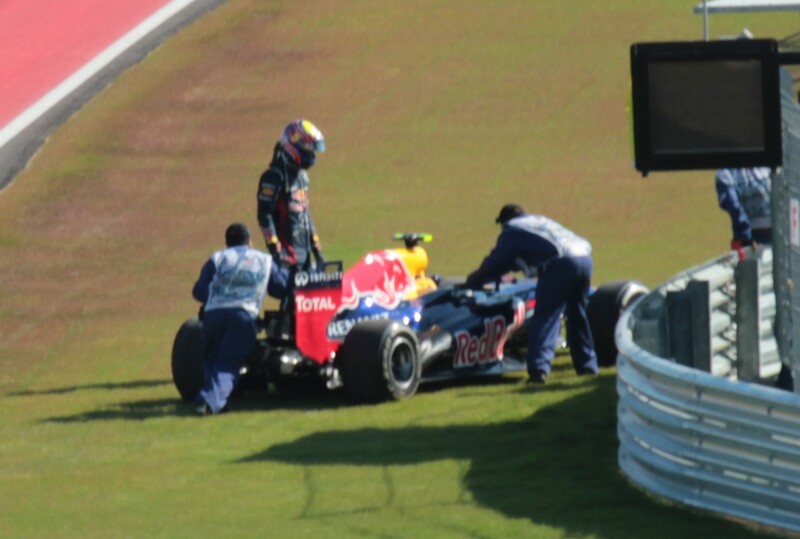 We groaned when Mark Webber’s Red Bull spluttered to a halt in front of our grandstand. 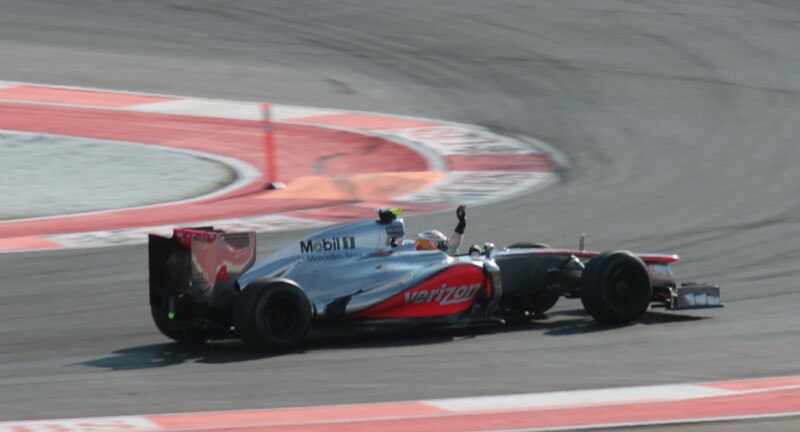 We cheered as Lewis Hamilton in his McLaren tried again and again to take the lead from Vettel. And we cheered even louder when he finally pulled it off, again right in front of us. Everyone negotiates Turn 1 safely! 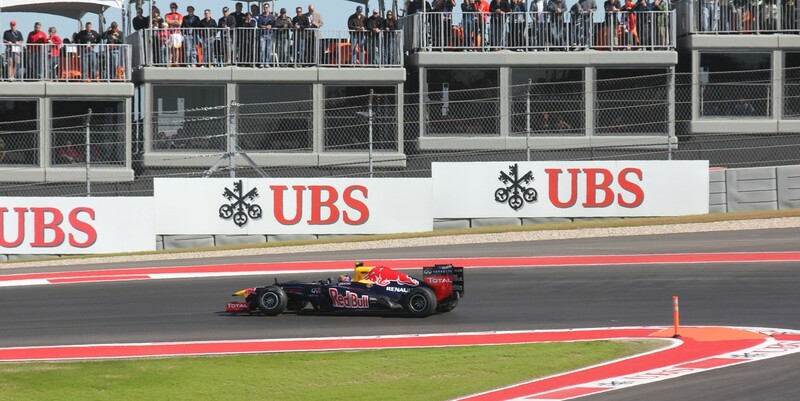 Mark Webber retires from the race… Boo! Then, almost before we knew it, the chequered flag was out and the race was over. 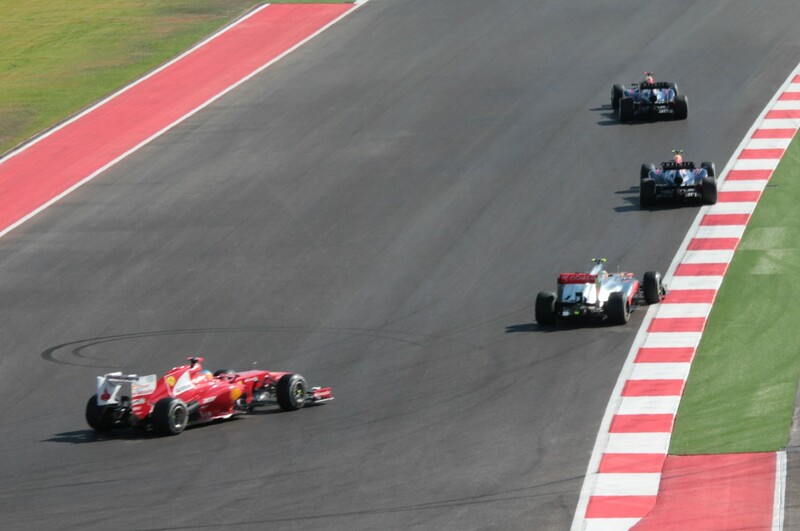 Hamilton first, Vettel second, and Fernando Alonso of Ferrari in third. Meaning the Formula 1 Driver’s World Championship will be settled at the final race of the season this coming weekend at Interlagos in Sao Paulo, Brazil. On the big screen: the Podium celebrations, complete with Stetsons! 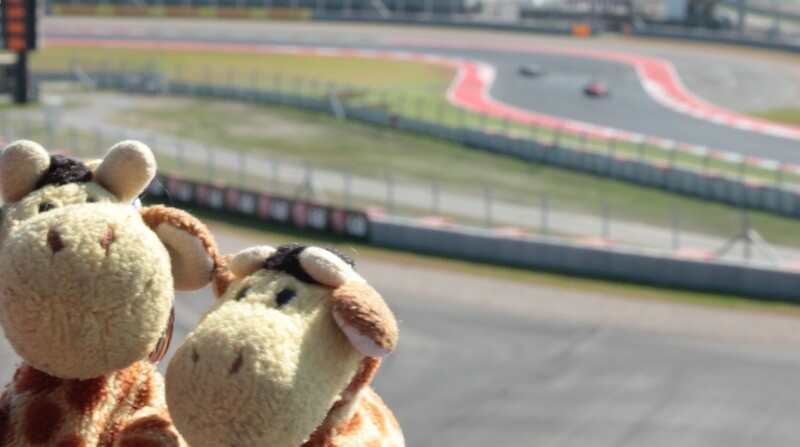 It’s hard to imaging a more fun and exciting weekend than we had at the Circuit of the Americas. Despite a few teething problems (and to be fair, it was the first event ever held there), we were really impressed with the venue. The facilities were great, the track was outstanding, and the racing was second to none. And although my bottom is still sore four days later from sitting so long on those aluminium bleachers, I for one can’t wait to go back. I just wish I could be in Brazil for the World Championship showdown between Vettel and Alonso this weekend! This entry was posted in Formula 1, Travel, USA and tagged Adventure, Austin, Brazil, Caterham, Children's books, Children's literature, Circuit of the Americas, Collective Soul, COTA, COTA Tower, Daniel Ricciardo, Drag Reduction System, DRS, F1, Fernando Alonso, Ferrari, Ferrari Challenge, Formula 1, giraffe, GT3 World Cup, Heikki Kovalainen, Interlagos, Jaspa, Jaspa's Journey, Jean-Éric Vergne, Jenson Button, Kamui Kobayashi, Kimi Räikkönen, Lewis Hamilton, Lotus, Mark Webber, Marussia, McLaren, Mercedes, Michael Schumacher, Nico Rosberg, photography, race, Red Bull, Sao Paulo, Sauber, Sebastian Vettel, Serengeti, ses, Texas, The Great Migration, The Pride of London, Timo Glock, Toro Rosso, travel, Turn 12, US Grand Prix. Bookmark the permalink.